Great doctor! Thorough in his assessment and all treatment options, but is easy to understand and assess appropriate chooses. Highly recommended! Dr Schell was top notch as always. Dr. Schell was professional and kind in his analysis of my knee. I liked the fact that he recommended PT and cortisone shots rather than surgery. Beyond what I was expecting. Dr Shell is one of the best , very kind a nd caring doctor. He makes sure you understands whatever he explains to you. My surgery went great and he makes follow up call to see how I was doing. Love him,great doctor. Thorough and took his time to explain. Outstanding experience. I saw Dr. Schell for second opinion and after his explanation as regards to my injury and the treatment plan I feel relieved even though I need surgery. Dr Schell’s bedside manners and knowledge are nothing but stellar. The office is clean and the staff polite and friendly. I would highly recommend Dr. Schell . Always a pleasant visit to the doctor's office. No wait time and great patient care. Dr. Schell is knowledgeable and give honest advice. I found Dr. Schell to be very personable, intelligent, attentive, clear and to the point. Dr. Schell gave me his undivided attention, answered my questions clearly and allayed my concerns. Dr Schell, myself and family has known for more than 10 years. We are always satisfied with his gentleness, caring and always fun loving. My husband had 2 shoulder surgeries, myself a knee surgery, my daughter 3 knee surgeries after she fell on ice. Thanks to Dr Schell, we are all happy and moving again. I WOULD DEFINITELY RECOMMEND DR SCHELL A MILLION TIMES MORE. BY THEN, HE WILL PROBABLY BE BE AS OLD AS I AM, BUT HE WILL STILL BE #1 FOR US. THANK YOU. GEEN BAKSH. My visit with Doctor shell was as always excellent. All my questions were answered. Everything accomplished in a timely manner even though I was late for the appointment. Everything went fine with my surgery. Very competent surgeon and a great guy as well. I recently spent 5 days in the hospital for right elbow cellulitis. I was concerned about the status of the infection since I was feeling some discomfort in my right elbow. I saw Dr Schell for a consultation. He was excellent. He took the time to explain everything I needed to know about my right elbow infection and bursitis. He also provided me with a treatment plan. This alleviated my concerns about my condition. I fully recommend Dr. Schell. Prompt appointments, professional office top to bottom!! 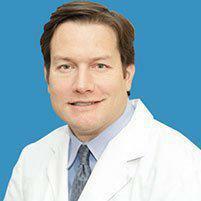 Dr. Schell is a wonderful orthopedic specialist. I trust his medical judgment and I highly recommend his services. Marissa was quick and attentive, no long waits, Dr Schell was friendly and courteous.